Hear the true story of a city’s darkest secret. As a director and award-winning documentary filmmaker, Payne Lindsey has always had a passion for the true crime genre. Last year, the Atlanta based former music video director ventured into the field of podcasting, dedicating his time to investigating a decade-old cold case from South Georgia, the disappearance of Tara Grinstead. The podcast, ‘Up and Vanished‘, propelled Grinstead’s case into the mainstream media with over 150 million downloads, helping to break the 12 year old mystery wide open. Now, this citizen sleuth aims to tell new compelling stories and take on his next challenging case. Founded in 1998, HowStuffWorks is the leading for-profit publisher of entertaining and informative podcast content. The parent company of 22 leading brands including Stuff You Should Know, Stuff You Missed in History Class and Stuff Mom Never Told You, the HowStuffWorks team reaches a highly engaged fan base across multiple platforms and distribution partners and has amassed a library of more than 6,000 podcasts and 1 billion downloads. With this expansive and award winning collection of audio podcasts, HowStuffWorks is ranked #2 in global downloads and streams. The company is headquartered in Atlanta and also operates studios out of Los Angeles. Founded by Atlanta director and independent filmmaker, Payne Lindsey, and music industry veteran, Donald Albright, Tenderfoot TV is a hub for content creators and storytellers. The company launched in August 2016 with the release of the true crime podcast “Up and Vanished” and has since created additional podcasts “Sworn” and “Atlanta Monster,” as well as upcoming TV and film properties. Tenderfoot strives to tell compelling stories that connect with the audience, delivering those stories in an entertaining fashion that keeps the audience engaged. No rules. No creative restrictions. Dives into one of the most notorious, unsolved serial killing sprees in history. 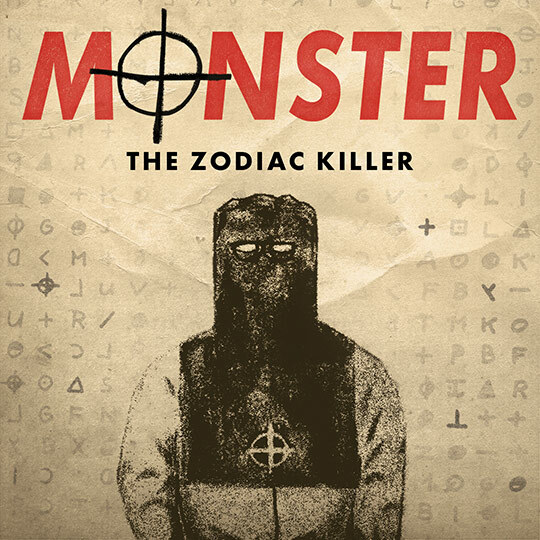 Despite sketches, cyphers and taunting letters to the press, the question still remains: who is the Zodiac?